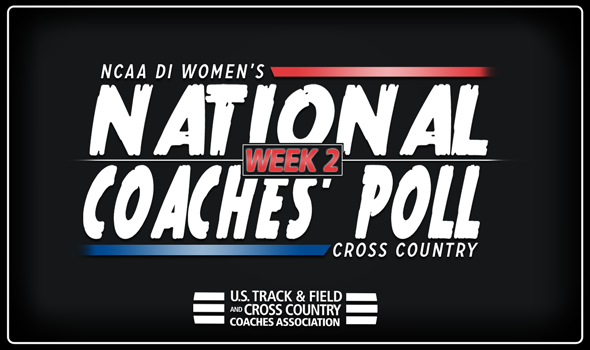 NEW ORLEANS – While the top-seven teams remained the same there was a lot of movement in the middle of the pack in Week Two of the NCAA Division I Women’s Cross Country National Coaches Poll that was released on Tuesday by the U.S. Track & Field and Cross Country Coaches Association (USTFCCCA). For the third consecutive week New Mexico sits atop the country in the No. 1 spot. The Lobos placed third at the Lori Fitzgerald Open this past weekend as the team ran a young unit against the field. They still have yet to run their full lineup so far this season. The year picks up for New Mexico with the Wisconsin Nuttycombe Invitational just around the corner on September 28. The last time the Lobos opened the year at No. 1 for three-straight weeks was in 2016. Colorado remained in the No. 2 spot and was off from competition after opening their year with a win at the Wyoming Invite. The Buffaloes won’t race again until Nuttycombe. No. 3 belonged to Stanford who was also off this past weekend. The Cardinal opened their year with a win at the USF Invite and will be back in action when they host the Stanford Invitational on September 29. The No. 4 spot stayed with Oregon who was off but gearing up for its home Bill Dellinger Invitational on September 21. The race will serve as a final tune up before Pre-Nationals on October 13. Rounding out the top-five is No. 5 Boise State who was also off from racing. The unit, who opened with a victory at the Sundodger Invitational, won’t race again until Nuttycombe. The No. 6 spot was held by NC State who still has yet to race this season. With Hurricane Florence impacting the area, the Adidas XC Challenge was canceled so the Wolfpack won’t take to a course in competition until Nuttycombe. Coming in at No. 7 was Wisconsin who opened its year by hosting the Badger Classic this past weekend. The group was led by individual champion Alicia Monson who posted a 21:07.1 performance on the 6K course. The Badgers are all set for Nuttycombe and Pre-Nationals which will be hosted on its home Zimmer Championships Course. Improving one spot was No. 8 Villanova after the Wildcats opened the year with a win at the Main Line Invitational this past weekend. Graduate transfer Caroline Alcorta won the individual title at the meet in her Wildcat debut. Once again trading spaces with Villanova is No. 9 Arkansas, who fell one spot in this week’s rankings. The Razorbacks seemed to have not raced at this past weekend’s Missouri Southern Stampede and will return when they host the Chile Pepper Festival on September 22. It will be a quick turnaround as Arkansas will again race at Nuttycombe. In all 11 teams in the top-30 saw movement with the biggest jumps belong to No. 11 BYU and No. 10 Michigan. BYU improved six spots after they picked up a perfect victory at the Autumn Classic this past weekend. The group was led by individual champon Erica Birk-Jarvis who finished the 5K course in 17:00.9. Birk-Jarvis, a 2016 All-American, returned from missing the previous year of competition. Michigan won the Greeno/Dirksen while Hannah Meier, who was racing for the first time in cross country since 2016, collected the individual title with a time of 21:18.7 on a 6K course. No. 13 Furman and No. 27 Dartmouth each improved one spot while No. 14 Penn State, No. 16 Michigan State, No. 17 Washington and No. 28 Portland each fell one position from their rank in the previous poll. New to the ranking this week was No. 30 SMU who won the Ken Garland Invite this past weekend. The Mustangs were led by individual winner Hannah Miller (5K in 16:36.4) and second-place finisher Svenja Ojstersek (17:00.6). It is the first time SMU has been ranked since the Week Six poll of the 2016 season. Also receiving votes were Columbia, Ohio State, Colorado State, Florida State, Utah, Virginia Tech, Nevada and San Francisco. Make sure to check back in throughout the season as a lot will change leading up to the 2018 NCAA Division I Cross Country Championships.